Copyright © 2019 All Rights Reserved. 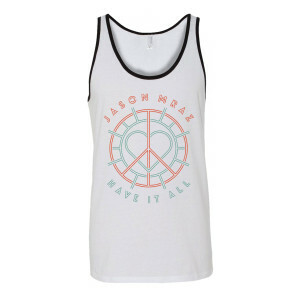 Musictoday II, LLC, is the seller of all Jason Mraz - MT merchandise and is solely responsible for all aspects of your purchase. 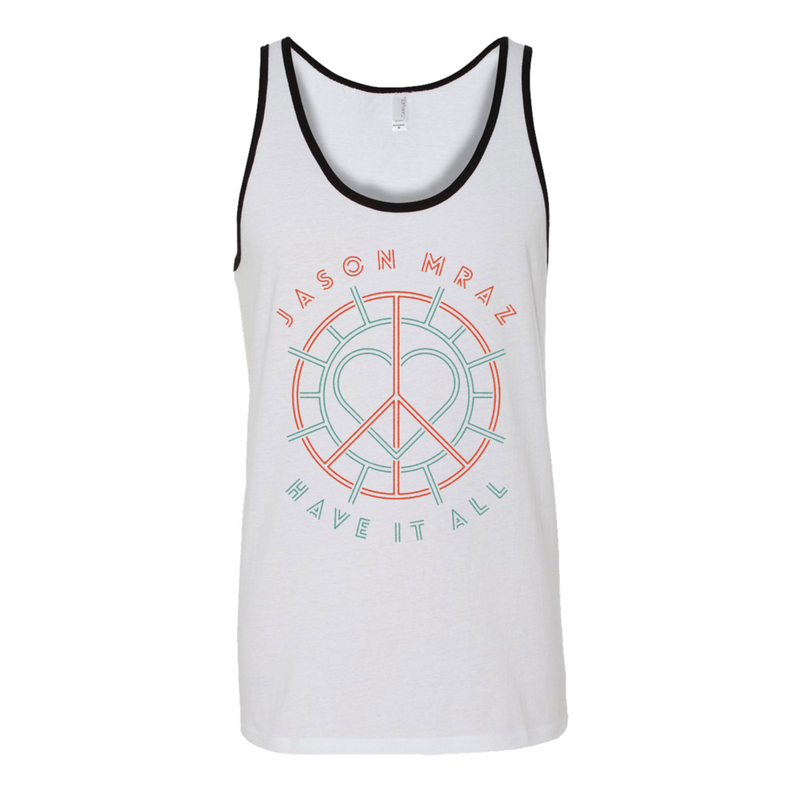 Unisex tank features unique peace, heart, & sun logo.